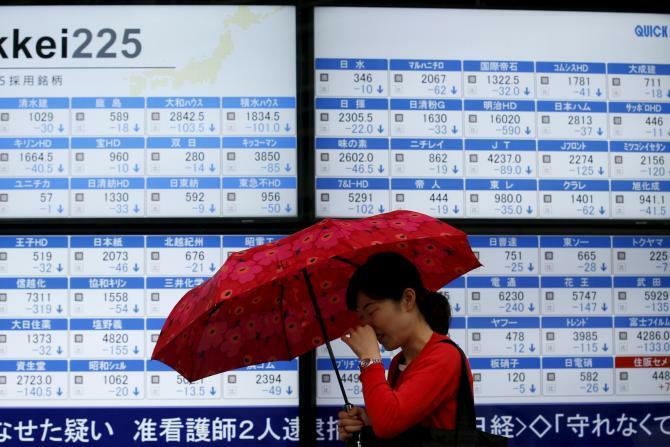 Japanese stock markets slipped into bear territory Wednesday as stock markets across Asia fell after the International Monetary Fund (IMF) Tuesday cut its forecast for global growth for a third time in less than a year. A slowdown in Chinese trade and weak commodity prices have hit emerging markets hard, the IMF said. Japan’s Nikkei 225 benchmark index fell 3.7 percent Wednesday, down 21 percent from last year’s peak on June 24 while the Topix sank 3.7 percent at close in Tokyo, also down 21 percent from its peak in August last year, firmly placing the country’s stocks in a bear market — an industry term for a market whose indexes decline by over 20 percent over at least two months.